As a most trusted Florida insurance agency, we know that designing a custom Florida business insurance package, that fits your specific needs, is no easy feat. With a variety of coverage options and state laws to abide by, you need someone with superior insurance knowledge and expertise to help you secure the most effective Florida business insurance plan. Generally speaking, the goal of doing business is to maximize profits, while also minimizing you overall costs. This however involves making strategic plans that account for expected expenses as well as outline effective actions that accurately reinvest the profits. Keeping costs at an acceptable level involves securing affordable yet comprehensive Florida business insurance. Our business insurance strategies balance your distinct needs and business requirements while also helping to reduce the general financial impact of unexpected losses like natural disasters, lawsuits, employee injuries, and more. So as a local Florida business owner, how can you better determine what your business really needs? Florida state regulations will determine basic insurance requirements; among the commonly required policies are Florida commercial insurance and Florida workers compensation. However, it’s important to keep in mind that these insurance components may not be enough. 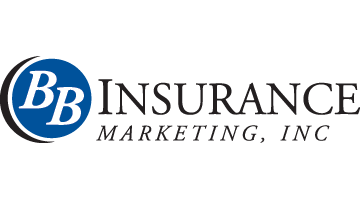 At BB Insurance Marketing, Inc., we understand the importance of having budget-friendly – yet comprehensive – coverage in place, no matter how big or small your business venture may be. We pride ourselves on being able to identify the required Florida state policies and suggest the most effective and affordable solutions for business insurance in Florida; that not only match your specific needs but also exceed all of your expectations. Feel free to give us a call; we’d love to provide you with more information regarding Florida commercial insurance, workers compensation and so much more! Contact us today to get a free Florida business insurance quote and let us help you get your company on track right now!